JOHNSTON, R.I., USA—Kevin S. Ingram has been appointed senior vice president of finance and chief financial officer of FM Global, one of the world’s largest commercial property insurers. 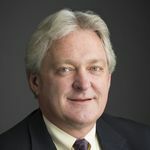 Ingram, who joined FM Global in 1990, succeeds Jeffrey A. Burchill, who is retiring at the end of this year after more than four decades of service with the company. Ingram is now responsible for all finance and risk management operations at FM Global. Ingram has held various senior-level corporate finance roles in his many years with the company, most recently as senior vice president of corporate services. In that position, he oversaw the company’s business risk consulting, business risk management, analytics and business process improvement functions. Prior to joining FM Global, Ingram worked for six years as an auditor with Ernst & Young. He earned a bachelor’s degree in accountancy from Northern Illinois University.